Even though we rarely see these birds, we love hearing them at night. 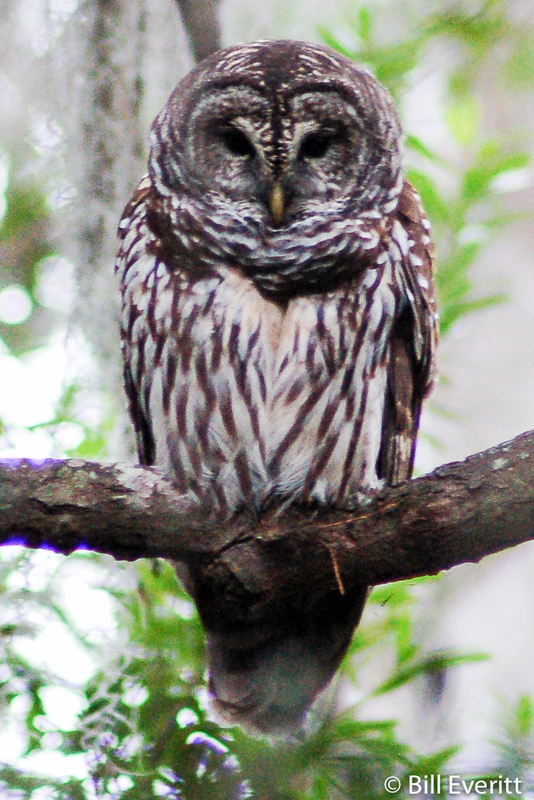 The Barred Owl is the ‘Who Cooks For You’ bird – who_who who_whoooo. Sleeping with open windows on cool nights gives a great opportunity to hear these owls calling in the middle of the night. Sometimes it sounds like they are so close they are perched on the window sill. Because the Barred Owl operates mostly at night, It’s hard to get pictures. 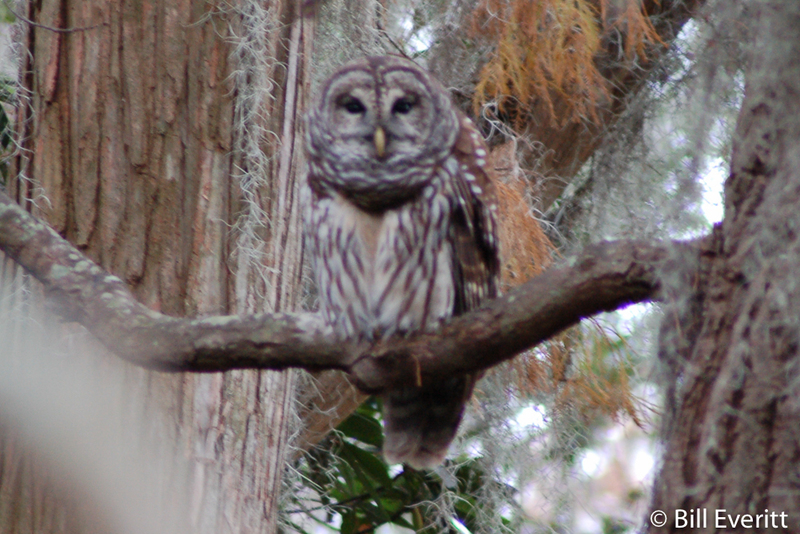 The only photos we have is of a Barred Owl taken in the Okefenokee swamp who roosted in a tree during the day near a boardwalk and watched the comings and goings.